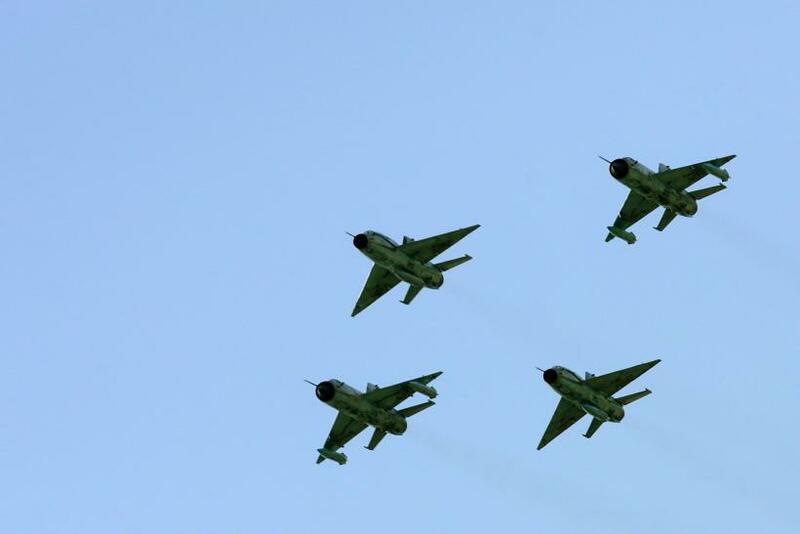 A Syrian Air Force MiG-21 has been shot down by a U.S.-built surface-to-air Stinger missile unit in the western Hama province, Syria, according to a military source who confirmed the incident to reporters Tuesday. The alleged shooting down of the Russian-made aircraft comes on the same day the Kremlin began withdrawing a core element of its military that had been supporting authoritarian Syrian President Bashar Assad and fighting the Islamic State terror group, aka ISIS, since September. "The jet was shot down during an attack by terrorists in the province of Hama by a U.S. Man-Portable Air-Defense System Stinger," the source said, according to a report by Sputnik, a Russian news website. While the Syrian military source did not give specifics about what terrorists may have fired the missile, there is a chance that it could have also been Syrian rebel fighters who were supplied the weapon by the Pentagon. The likely scenario, according to the source, is that the missile was fired by a terror group operating in the region. However, the Stinger could well have been supplied by ISIS fighters who are known to have looted them from Iraqi bases during a series of raids over the past 18 months. The bases were fully equipped with U.S. military equipment and weaponry. One pilot managed to eject safely from the MiG-21, while the other died in an emergency landing attempt, the report said. In light of the incident, the Syrian military suspended all flights in the region. Although it’s incredibly rare for a shoulder-launched missile to hit a modern military jet, the Stinger is capable of reaching speeds of Mach 2.54 and hitting targets up to 5 miles (8 kilometers) away. The MiG-21 is an old Soviet-built plane and would have been vulnerable to an attack from a Stinger given its relatively slow top speed.